We were called out via our 24 hour emergency services to a client whom reported a door was making a high pitched squealing noise when the door was operating. The door had also suddenly seized leaving the client in a position where he could not shut his door. Upon further questioning we found that the doors had been fitted to his premises around 4 years ago but the client had never had them serviced. To make matters worse the company that installed the door had since ceased trading. Upon our engineers arrival on site we found that the door barrel had partially collapsed and purely by the mechanics of the door gear assembly it was still in situ. If any further movement had taken place the whole of the roller shutter doors barrel assembly could have fallen to the floor with the obvious health and safety implications of this occurring. Our engineers with assistance on site from onsite lifting equipment removed the failed assembly and returned same to our workshop. 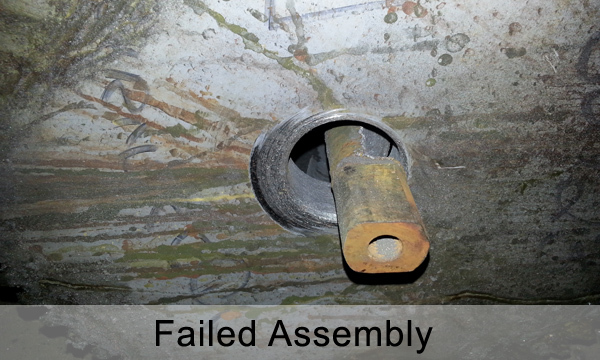 We found the internal support assemblies had collapsed and the supporting steel shaft had nearly worn away, this barrel was beyond repair and within its very short life span of only 4 years with very little use was of concern to ourselves. Upon further investigation we found that the internal assembly had partially been constructed from plastic which is not suitable for an industrial door. 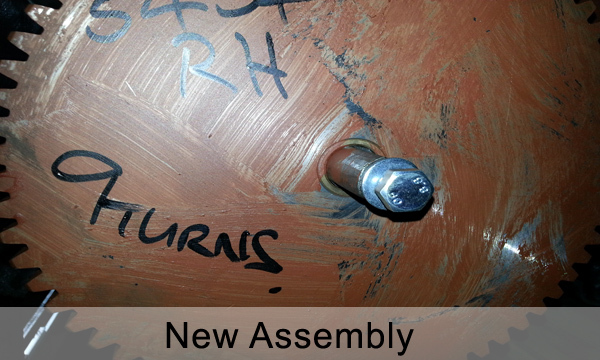 Within 4 hours we manufactured a completely new fully sprung barrel assembly and returned to site the same day to install the new assembly and helped our client return his door back to a fully operational and safe condition. Following the above occurrence the client has now taken us up on a service contract for all of his doors on site and is realising that the minimal costs involved with regular servicing is giving him a safe and secure environment for all of his employees with the peace of mind knowing that another near major incident will never occur again.